You can choose who has their messages moderated in two different ways. You can specify that everyone has their messages moderated, apart from a specified list. 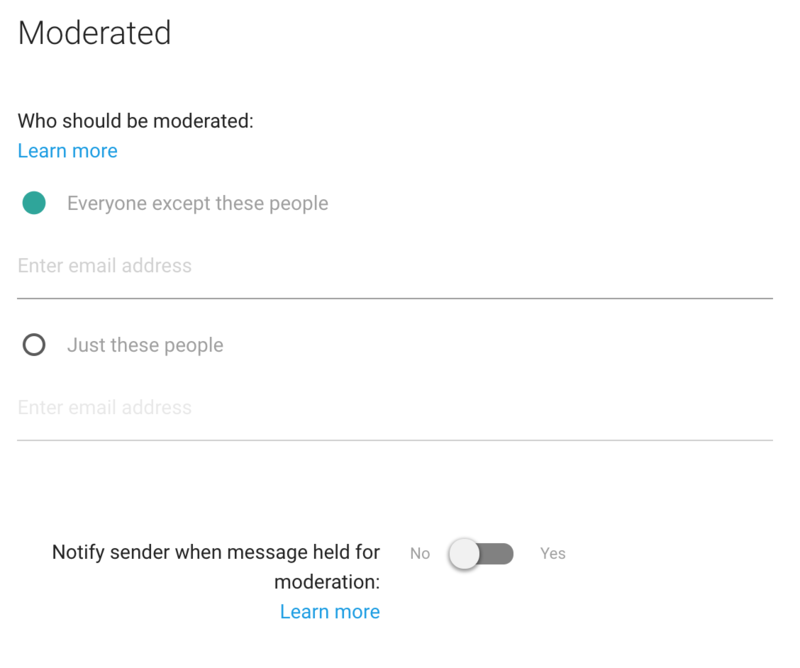 Or, you can specify that only certain people have their messages moderated. Messages sent to the group by administrators are never subject to moderation.